Mostly questions. Of course, often questions can be more generative than answers. As my high-school history teacher, Lowell Hagan, taught me: the kinds of questions you ask determine the kinds of answers you can get. What has been the method implied in my practical theological projects to date…and what method do I intend to use in my future work? This is a challenge to some over-simplified versions of practical theology that isolate the descriptive and interpretive moments from the normative (theological) one. Candidly, I think most of my work to date could be accused of operating within this simplified paradigm. As a result of the EccEth conversations, I’m going to have to be more deliberate and explicit about how the descriptive and interpretive moments are, themselves, theologically shaped. The truth is, even when we try to bracket theology out of this descriptive work, it is there anyway. Methods, as John Swinton notes “are carried out within a particular set of methodological assumptions…about the the way the world is and how people should function within it…an implicit or explicit theological position (Perspectives 77-78). "Descriptive theology can use all the human and social sciences; their special explanatory foci can add power to the insights of descriptive theology. But descriptive theology uses these special foci with an explicit and critically grounded theological horizon." (Fundamental Practical Theology 112). 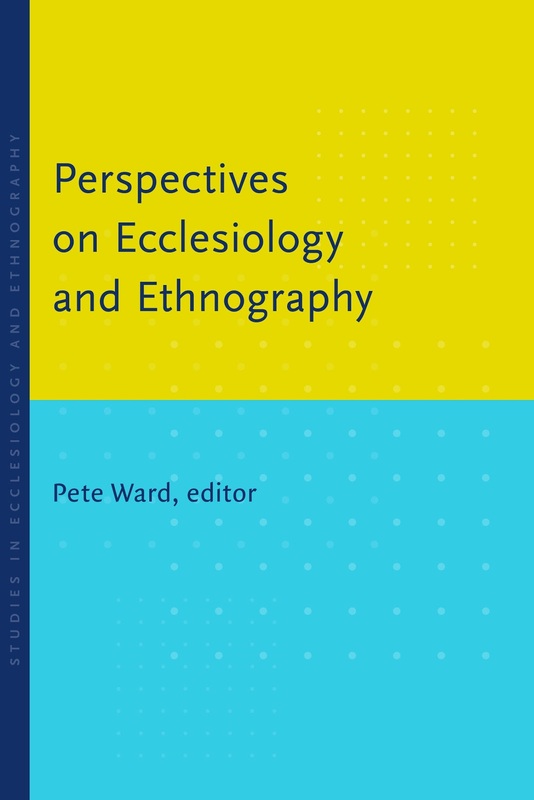 In many ways, the ecclesiology and ethnography conversation is returning to the questions of interdisciplinary method that practical and pastoral theology have been debating for decades. But rather than merely rehashing old arguments, this network brings a key insight and narrowed focus. The key insight is the one I already mentioned above. That is, we need to admit that our work is not a linear practice-theory-practice movement (another oft-simplified concept) but that theory is there at the start too. (Again, this is something Browning articulated, which his notion of theory-laden practices). This insight invites theologians to be purposeful about how their descriptive and interpretive work is also theological. My own interest is in practical ecclesiology (ie. drawing on both qualitative and quantitative methods) so I personally welcomed that extension, but it seems to me that when the EccEth conversation expands either or both foci it risks repeating well-worn discussions and sacrificing the opportunity to make a critical contribution. All that to say, the conference and the conversation is going to make me as a practical theologian more intentional about my theological method, and as someone particularly interested in ecclesiology, I hope this conversation can hold that focal point in its agenda. 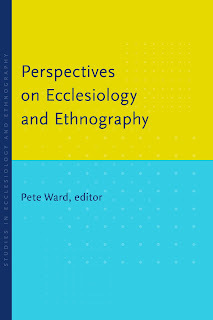 Which are we more interested in: ecclesiological ethnography or ethnographic ecclesiology? The phrase “thinking with the church” comes from Ignatius of Loyola and he go so far as to say that “we ought always to hold that the white which I see, is black, if the Hierarchical Church so decides it.” Clearly, this way of thinking with the church would place normative theology in a position of negating the perspectives which social sciences could offer. But I still like that phrase—thinking with the church—for a few reasons. First, “church” could be substituted with either “the tradition” or “the concrete congregation.” Second, because while “with” can imply all kinds of different relationships (including “in harmony with”) it tends to connote a sense of solidarity and companionship which I think is a helpful way for us to view the right kind of relationship that theologians ought to have with both the tradition and actual congregations. Third, in the phrase and the passage it comes from, Ignatius is reminding us of something important: our current frames of reference are both adjustable and fallible. Thus his indication that if it looks white to me, but the church says it is black, I shall treat it as if it is black. For Ignatius, this was a simple extension of his obedience to a church that he took to be the Spirit-led and thus authoritative voice of truth. My point is, that both what we believe and how we choose to act with reference to these matter; there is a clear role for perspectival choice and this is something theologians need to take seriously. We need to be both aware of and candid about the choices we are making because what we have chosen will shape what we (are able to) see. What happens when one accepts as truth lofty ecclesiological doctrines and then goes to do qualitative research in a congregation? Will their faith in the doctrines be shattered, such that they’ll feel a need to invoke a strict division between the concrete congregations and the church to which theology refers? Will they, in view of the dissonance reject or modify the theological claims they began with? Or, on the other hand, might their theological starting point enable them to see something in the concrete reality through research that the “objective” researcher would miss—or even consistently deny? I, at least, hold out a hope for the later, though I have to make two acknowledgements. First, the former scenario has and does happen with some frequency is not difficult to demonstrate. Second, there is certainly the possibility in the second scenario that the “seeing” is nothing other than a delusion produced by conviction. Cases of this are also available, and often its occasions bear tragic results. As weighty as these two acknowledgments are, I do believe that one of the functions of doctrinal theology (and spiritual practices by which one comes to more deeply believe and experience it as true) is to make visible in the ordinary world that which ordinary eyes—even those of well-trained social scientists—will never see. I suppose, here, I am also suggesting that it is not merely a researchers theology which shapes qualitative research but perhaps even more importantly spirituality (this is something which John Swinton alludes to in the volume as well). can suggest numerous sorts of diverse connections it has a tendency to indicate a feeling of solidarity and fraternity which I think is a useful path for us to view the right sort of write my paper relationship that scholars should have with both the custom and real gatherings.